Grab your tissues! Both of this week’s dramas may have you in tears—tears of joy and tears of heartbreak. Reasons to watch: It’s not a crime to fall in love with a cop, but if you’re a conman, it will definitely put a damper on your career. When inveterate conman, played by Choi Siwon, meets Lee Yoo-young, he lies that he’s an entrepreneur while she lies about her job as a police officer. The pair fall in love and marry, and you might think that Choi Siwon will put his life of crime behind him, but there’s a complication. One of his victims was a notorious loanshark and his daughter (Kim Min-jung) is determined to make Choi Siwon pay for conning Daddy Loanshark (which I guess makes her a baby loanshark, doo doo doo doo doo doo). When she tracks down Choi, she makes him an offer he can’t refuse: run for public office and she’ll spare his life. Reasons to watch: In the aftermath of a tragedy, there are usually condolences and offers of support. But when said tragedy is a rich kid bullying someone to the point of near death, that aftermath looks very different. Nam Da-reum is the subject of an attack that leaves him close to death, but the school and the bully’s wealthy parents (Oh Man-seok and Jo Yeo-jung) are all too eager to cover up the truth of the attack. But Nam Da-reum’s family won’t give up without a fight, played by Park Hee-soon, Chu Ja-hyun, and Kim Hwan-hee, vow to find out what really happened and get justice for their beloved son and brother. When a melo breaks out the irony for their drama title, I know they’re pulling out the big guns. If the teasers are any indication, I’ll be an emotional wreck by the time A Beautiful World is over. My fellow citizens is likely to flop because of the anti-Siwon sentiment that seems to be popular in Korea right now. What I want to know is will Nam Dareum be in a coma for almost all the 16 episodes making only brief 10 min appearances every episode? This is definitely more about the parents than the children themselves but I still I'd like to see more of him than just flashbacks especially if he might die in at the end of the series. Can someone explain the anti-Siwon sentiment? I think it was something like... he didn't have his dog on a leash (and did this frequently), dog bit someone, this person got an infection and passed away. Compared to the latest K-pop scandals that one is weak tea indeed. Seems a bit harsh, indeed. Ok, no, that's wrong. completely wrong. Maybe he did in private? ugh, so wrong. @astromantic He apologized and already talked to family personally (they are close friends) even before the case blew up. It was reported and Siwon apologized publicly on his SNS and did not participate in Super Junior's comeback. Also, the dog was raised by his family and was not even with him when the incident happened. He again apologized at his presscon. A very unlucky situation indeed. The public didn't receive it well, because it was very poorly handled by Siwon's family, they apologize but it was revealed they they lied in apology letter about circumstances of accident, and tried to deflect the responsibility for victim death on hospital, victim sister initially publicly accept apology but after more information come to public knowledge, like the fact that the dog has history of biting people unprovoked (even Siwon to the point he has to take medical leave), and was constantly unleashed, and they still operated merchandise shop for the dog after the incident, victim's family consulted the lawyers and police and didn't sue because without autopsy results it'll be long and dirty trial, so they decided to "receive not accept" (son's quote) apology and move and grieve in peace. But most of the infor after initial outcry weren't translated, I did a little digging because I'm animal lover and was curious how it was handled, and dog was send to country apparently which wasn't well received, and I agree because animal who attack unprovoked should be euthanised and not left in hand of such an irresponsible owners. I love how the public gets to judge whether the celeb has met their bar for contrition when they're not the injured party. Sometimes Korea could stand to mind their own personal business and just focus on the matters that really affect the public like corruption and human trafficking. Irresponsible dog ownership is a matter of public interest as it's concern public safety, and that matter is regulated by government too. Actually, in a way, I think Siwon's case really did end up affecting the public. I remember getting a notice not too long ago that dog laws in South Korea have now been updated so that it is a federal crime if a dog does not have both a leash and muzzle attached to it when outside the privacy of your home. I'm pretty sure the fine for it was pretty hefty as well. I wonder if some of the hate could be from people that are bitter that they need to get muzzles for their dogs now? I mean in general. I think a lot of scandals are ridiculous and the result of the public being basically NOSY about other people's business. In this case he wasn't the one walking at the time, and yet he gets guilt by association ... which is also ridiculous. I wanted to add, if his family let Siwon deal with public aspect of this case it wouldn't end in this mess, his apology was well written and I agree that it was good to address it again before drama start airing, but his father and his sister are another story with the way they handled it. Uhm, I'm not entirely agree with that stance, we know pretty much about this case to form an opinion, and I think it was good move on Siwon part to address this in public space as he is a public figure and this dog image was monetized by his family, but it should ended there, if his father wouldn't release his apology where he tried to deflect guilt and presented version of events that was proven untrue by CCTV tape, it would be forgotten by now, but his father's and then his sister insensitive action turned the public and even victim's family against them and in the end against Siwon who is a public face of his family. I agree that netizen comment are vicious and unfair but it was triggered by Siwon's family tonedeath actions. Yes! I love that kid. He's so talented. I'll be pissed if he dies. I was going to tune in but maybe I should wait until it's completed to watch. Okay, I think I'm as ready as I can be for A Beautiful World to start. Also, thanks DB for putting this drama on the currently recapping list. I got a feeling that we'll sorely need a place to cry together and trade virtual hugs. Seo is on a different level. I'm excited to see him too! Does anyone know: Is it 100 percent certain that A BEAUTIFUL WORLD will be available in the US on Viki? I am getting messages that say restricted and limited access. Thanks @beantown. I remember a similar dynamic with Viki in the past with WHERE STARS LAND/FOX BRIDE STAR. That's common with Viki until it actually airs, then, ta-da, it's available. The problem with Viki today is they're having trouble with their subtitles. Been a whole day and night w/o Viki so far...they need to get their act together. Hi @bebeswtz. I have had a subscription to Viki since April of 2016. I guess I am a bit of a late comer. Thank you and all the volunteer subbers at Viki for all you do. I appreciated DramaFever (still upset over its demise). I am glad Netflix is committed to kdramas. I think the Viki subbers have consistently provided the best subtitles. 2. TUNNEL 2017 (with two of my favorites YHM and CJH). I think because of licensing issues (what else) Viki received the first 6 episodes together at Easter. The Viki subbers did a fantastic job getting those episodes subbed. I am puzzled by some of Viki’s business decisions (if you will). For example. From the beginning of the joint venture with KOCOWA I have not understood why volunteer subbers are subbing Kocowa dramas since Kocowa dramas are already subtitled. Seems not to be the best use of Viki subbers. Why did Viki accept (purchase?) all those JTBC dramas that had previously aired and presumably needed to be resubtittled? 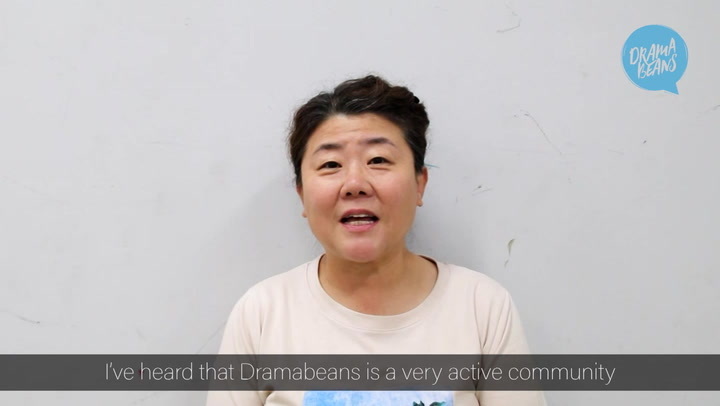 I am sure I speak for many beanies when I ask you to please let your fellow Viki volunteer subbers know how grateful we are. Sorry, you misunderstood or I didn't state it well. I have all respect to subbers. What I was talking about is there's a bug in the system on Roku so that no subtitles show up (haven't checked yet this a.m.) Subs on android are still there. They're trying to fix the problem on Roku. Viki on Roku is the only streaming service I know of that constantly has problems of one kind of another that is run by a huge streaming service conglomerate, Rakuten. Just got an email from Viki - subtitles on Roku are now fixed, so I replied and thanked the engineers for their hard work. 😍❤😍❤😍❤😍@bebeswtz I love and appreciate all subbers!! Thank you! I am anticipating ABW being available on Viki. I do get a little anxious when I see something other than “Coming Soon”. I used to get "anxious" (nice word for angry) too but have realized it will say that until it actually airs. They've added Absolute Boyfriend coming soon, yay! Yes, one day away. They've now changed it to "coming soon" instead of "restricted access". Apparently Absolute Boyfriend and Vagabond were tossed about for airdate, but now Viki has Absolute Boyfriend and Vagabond is in negotiation with Netflix. thanks for the heads up for ABSOLUTE BOYFRIEND. I really enjoyed Yeo Jin-goo’s performance in THE CROWNED CLOWN. Btw. I am encountering a subtitle issue on viewing Kocowa dramas on Roku. I have watched episodes of both HAECHI and DOCTOR PRISONER by Roku with problems seeing the subtitles. They exist but I have to play with the star button on the Roku remote to get them to appear. FYI. Mine says one day away. Do you check the website for coming soon? I check every day! Last month there was over 50 dramas coming soon. Now there are only 27. A BEAUTIFUL WORLD + jTBC + Oh Man-seok = love! yes yes to Oh Man-seok! he needs to do MORE! that we can see. Nooooooooo @stroopwafel! I didn't expect that baby shark attack! Other than Nam Da-reum, I’m excited to see Kim Hwan Hee as well. Her roles in Reply 1997, The Wailing and On the Way to the Airport left a strong impression on me. I didn't know she was in 1997 too! With the talents of both Nam Da Reum and Kim Hwan Hee, I'm so watching this drama. I was going to wait but then I saw Kim Hwan Hee's appearance on Happy Together and she's adorable. 😊 I was impressed with her before but now she's one of my favorites. Would somebody is kind enough to tell me at what time does "my fellow citzen" airs? According to its AsianWiki page KBS2’s MY FELLOW CITIZENS airs Mon/Tues at 10pm. Watched the first 2 episodes of My Fellow Citizens and I liked it. Probably would stick with it for a bit more. Si Won and his comical facial expression was hilarious. I like the actress too, very expressive and beautiful.